Disposable replacement cartridge for Tropica's CO2 Nano System. Bit early on the review as I only just got my Co2 system, and that came with a cartridge, but as they are the same, i think a review is justified. Nice manageable size and so easy to connect up - just no idea how long this will last. Die Flasche ist optisch schön verarbeitet und erfüllt ihren Zweck. 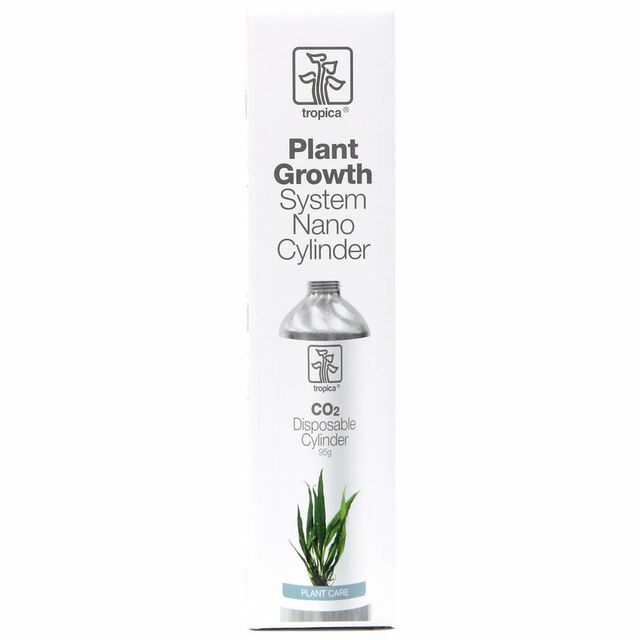 Außerdem Nutzbar auch an anderen Nano Co2 Systemen wie zum Beispiel von Ada usw..
Das Tropica CO2 System Nano und die Tropica CO2 System Nano Kartusche finde ich im Handling und von den Kosten her nicht gut. Eher Mehrweg und "verstecken" anstatt Nano.